I am normally so quick to post a review of a product. I am very selective as I enjoy evaluating something with honesty and integrity. I also enjoy reviewing products that I use or need to make life just a little more simple. When I received my Addison Single Handle Lavatory Faucet with Touch2O.xt Technology by Delta, I knew that I needed to put some effort into making this product look fantastic in my washroom. This was not only a product review, but a wonderful incentive to make my washroom more appealing. What I needed first? Money! 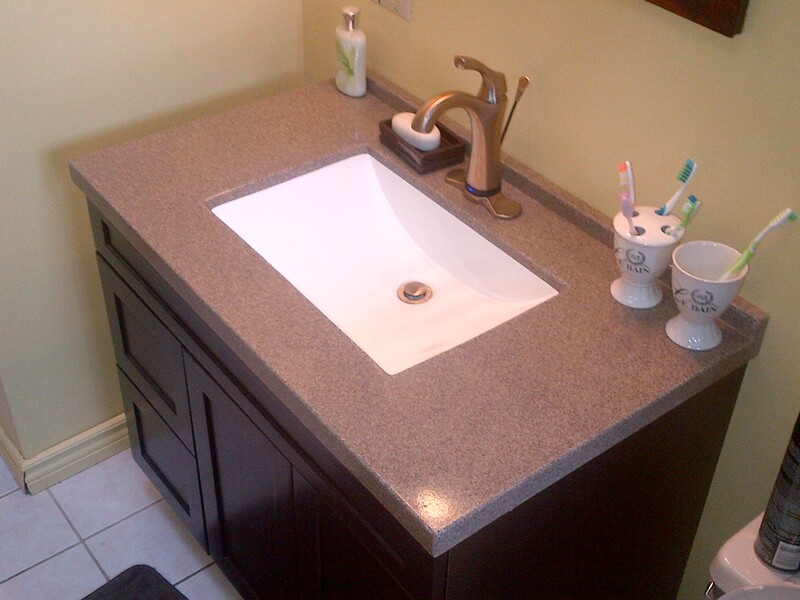 My washroom was never anything to write home about as the ceramic top was faded and the brass fixtures were dated. “Why put a beautiful new faucet on something that wouldn’t make the cut?” I asked my husband. He agreed and I notified the company that I needed just a little time knowing the items required were going to cost a pretty penny once I started working on it. Being very wise shoppers, we scaled all of the big box and counter top suppliers in our area. We purchased a new counter top from Home Depot but (surprise, surprise) the counter top didn’t fit the existing cabinet (which I wasn’t fond of to start off with). The next day, off we went to search for a new cabinet. We found a beautiful cabinet from Rona that both of us decided would look perfect in our bathroom. Aside from the dog thinking we were making her casket, the installation of both the cabinet and counter top were seamless. Now the big job (or so we thought). 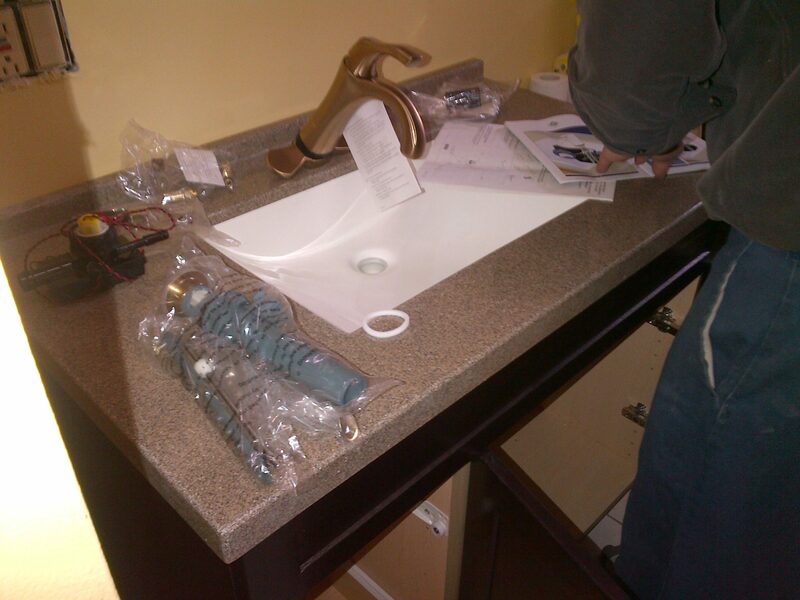 Installing the Addison Single Handle Lavatory Faucet with Touch2O.xt Technology was surprisingly simple with the step-by-step instructions. However, at the end of the installation, the Touch20.xt technology wasn’t working correctly, so we referred to the fantastic video that Delta has on their YouTube site. (See below) The faucet worked like a charm after verifying that all attachments were clear of debris. I especially love the Champagne Bronze finish that we selected. No more fingerprints and easy to clean! My children, who are 16 and 18, tend to leave the faucet on just enough for it to be unnoticeable for long periods, but long enough to drive up the water bill. With the Touch20.xt technology, the water faucet automatically stops when it doesn’t sense your presence within 4 feet. A frugal mother’s dream!! My kids love the new faucet and have handled it with care (without warning). I love that it is so easy to clean. In fact, the while unit we purchased is much more easier to maintain! I am tickled pink with my new washroom. 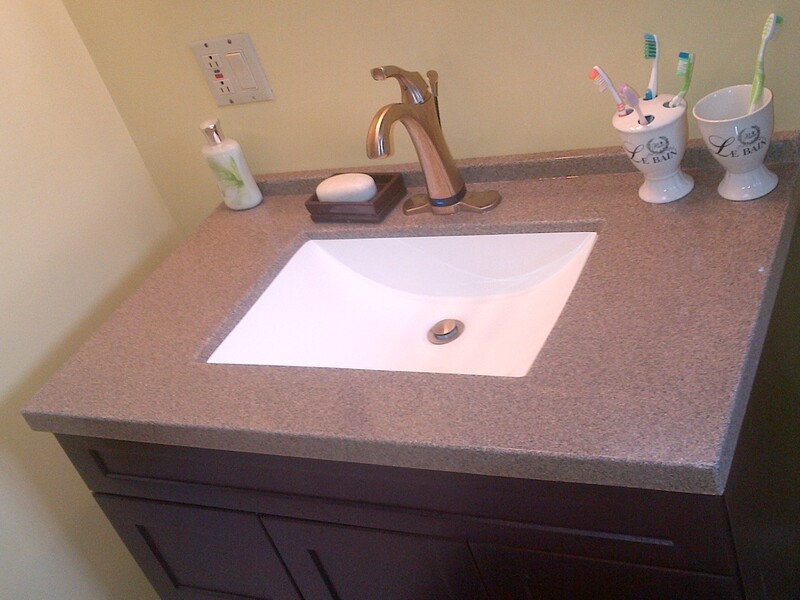 There is still a lot left to do, but a new vanity and faucet sure makes it much more inviting to visit. Activate the flow of water by just moving close to the faucet – it senses your presence anywhere 4″ around it. This faucet is available in four different finishes. Next Next post: No More On-Screen Love Making For Brad Pitt!